Eurocomponents’ Lorenzo Da Madice and his wife Dina, are an inseparable pair, in life and business. 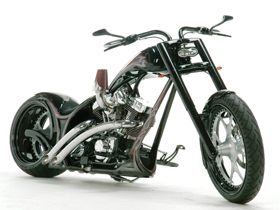 Between the two of them, they have brought together the leading edge in European parts innovators by distributing their products to American motorcyclists through their facility in Daytona Beach, Florida. “The Idea started about four years ago”, says Lorenzo, “when I began contacting manufactures and artisans in Italy, Germany, France, The Netherlands, Switzerland and Sweden. I checked which companies could not only produce superior new products but also actually have them available for ordering. Sometimes there were beautiful parts, but you could grow old waiting for them to reach you. 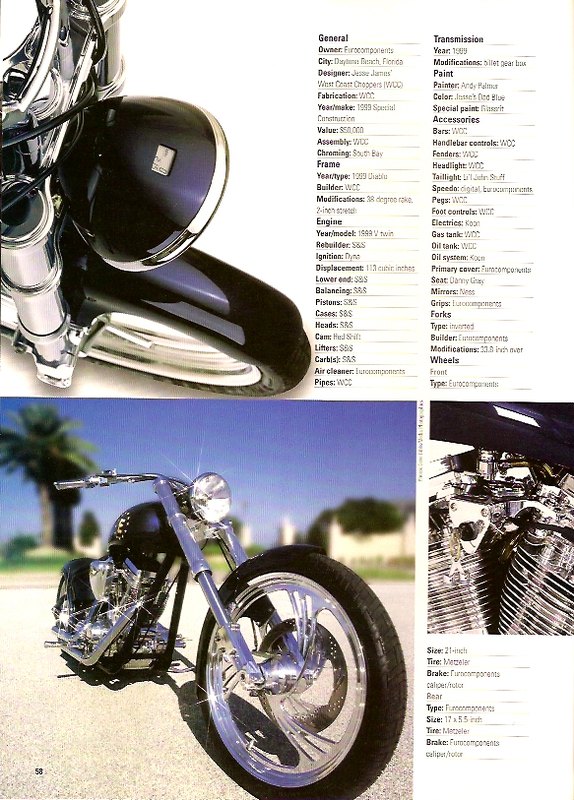 In our current catalog we have over 750 products, most available in a choice of chrome, polished or black anodized finished. Plus we have access to non-catalogued products made in limited quantities in Europe”. 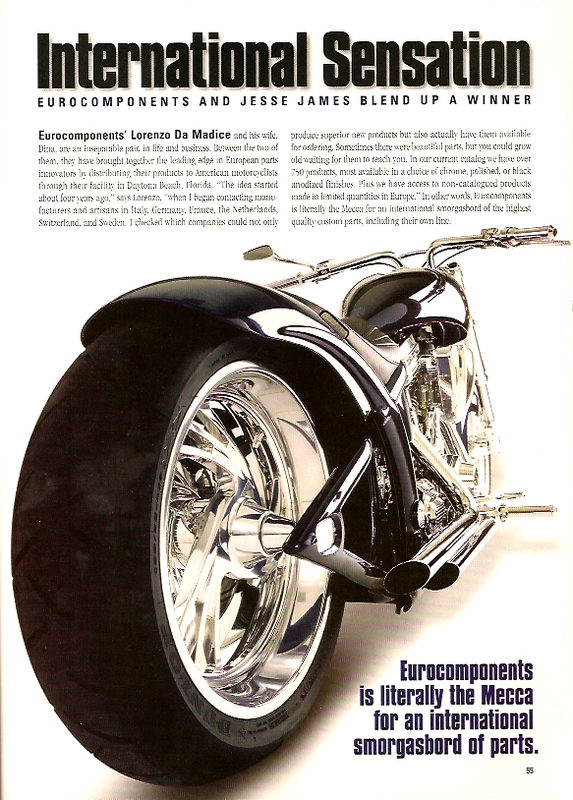 In other words, Eurocomponents is literally the Mecca for an international smorgasbord of the highest quality custom parts, including their own line. It’s a natural progression to build a bike based around your products and when mulling it over to their first customer. 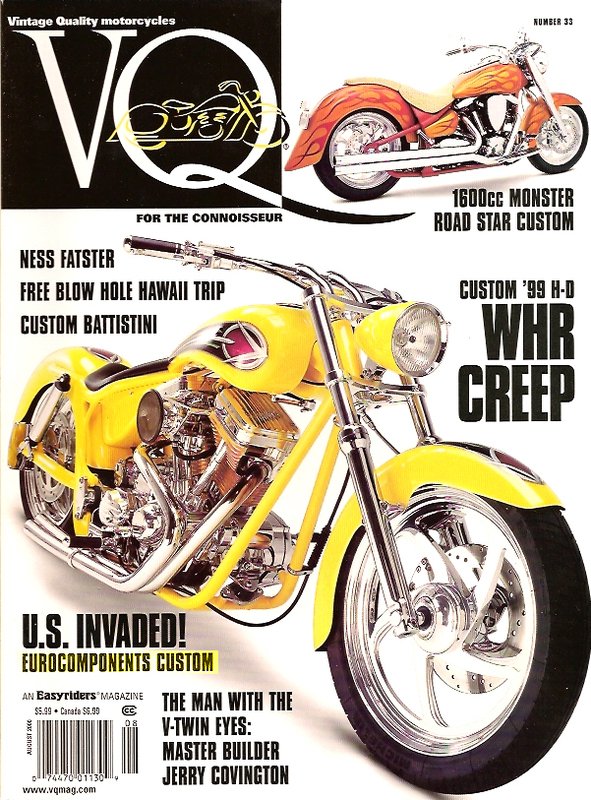 Fortunately, that very first customer, literally invoice #1, had been none other than Jesse James, noted southern California V-Twin magician. “Jesse was literally our first customer when we opened up shop. He had tried getting parts from overseas but encountered the problems dealing with multiple languages plus the intense customs and shipping fees. He found that it was several times more cost effective to get his parts through us. A week later we ran into him at Bike Week, and, as they say, that was the beginning of a beautiful friendship… and a bike project. We really liked his work in general and particularly his Diablo frame setup because we thought it was one of the sleekest on the market. We gave him our catalog and let him have free reign. We used his frame and Jesse filled it with his choice of our components”. 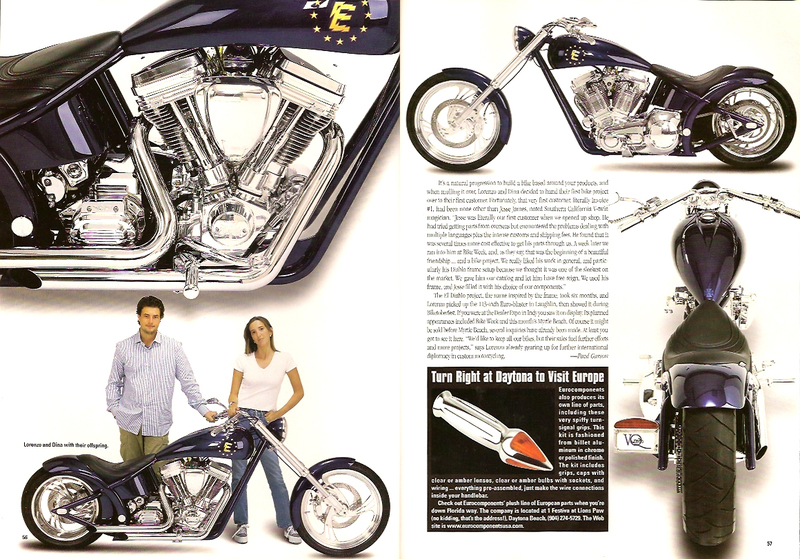 The El Diablo project, the name inspired by the frame, took six months, and Lorenzo picked up the 113-inch Euro-blaster in Laughlin, then showed it during Biketoberfest. If you were at the Dealer Expo in Indy you saw it on display. 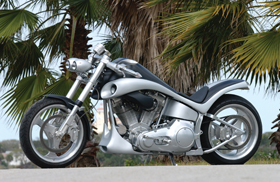 Its planned appearances included Bike Week and this month’s Myrtle Beach. Of course it might be sold before Myrtle Beach, several inquiries have already been made. At least you got to see it here. “We’d like to keep all our bikes, but their sales fuel further efforts and more projects”, says Lorenzo already gearing up for further international diplomacy in custom motorcycling. Eurocomponents also produces its own line of parts, including these very spiffy turn signal grips. 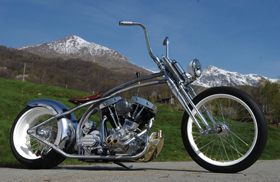 This kit is fashioned from billet aluminum in chrome or polished finish. The kit includes grips, caps with clear or amber lenses, clear or amber bulbs with sockets, and wiring … everything pre-assembled, just make the wire connections inside your handlebar.